It can be a big shock to come home from work and find your neighbor has erected a fence between your houses; especially if this now affects your view. Your first reaction may be anger but then you’re going to ask if your neighbor can actually erect a fence without your permission. You may be surprised to learn that your neighbor can erect a fence without asking your permission. However, this fence must be in accordance with local laws. The first, and perhaps most important criteria are that the fence is on your boundary line, some states even demand that it be a short distance from the boundary line. If you are unsure of where exactly your boundary line is then you can click here to get in touch with a land surveyor. They’ll confirm the exact position of your boundary line. It now becomes a little more complicated. There are rules and regulations surrounding the size of the fence and the materials that can be used. 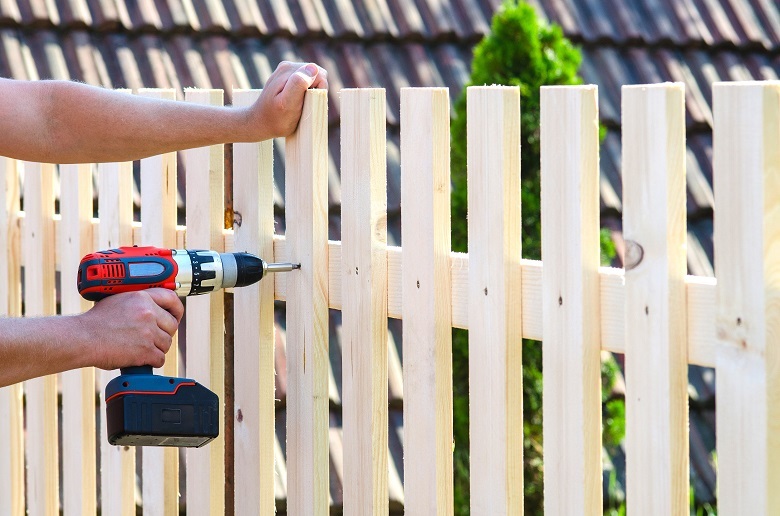 If your neighbor has created a fence that is too high or fails to meet these criteria in any other way, then they will have to rectify it, at their own expense. Equally, if the fence sits just off the boundary line, on their land, then they will need to pay for the fence, although the height regulations still apply. But, if they have erected a fence on the boundary line and there wasn’t a fence there before or the fence was inadequate, then you’ll be liable for half the bill. A good neighbor will have talked to you about this before they did the work. If they haven’t then you need to talk to them to find out what their position is. It is important to stay calm. If you are not sure the fence is in the right position the survey will tell you what you need to know. Local planning officers can confirm whether the fence matches the right criteria, leaving you to negotiate regarding cost and the style of the fence. Of course, if there was a fence and they say it was adequate, you have the right to dispute this claim. Unfortunately, this will probably mean involving negotiators and perhaps even following up with legal action. You’ll have to decide if this is a worthwhile option. This may depend on how long you intend to live in your house, you will remain neighbors. On the plus side, if the fence has been erected on your side of the boundary then you have the right to tell them to take it down. You could even take it down yourself but this may lead to further legal complications and is best avoided. A fence can add value and privacy to your property, this is why you should pause before taking any action. They may have put the fence up without telling you but it could be to your benefit.